Prime Minister Nawaz Sharif has convened a special meeting of the federal cabinet today (Monday) to discuss the situation arising after the death of Tehreek-e-Taliban Pakistan chief Hakimullah Mehsud in a US drone attack on Friday. The cabinet division has notified all ministers and other senior officials concerned to attend the meeting – which will discuss the internal security situation following the recent major developments – at all costs. According to the Prime Minister’s Office, Interior Minister Chaudhry Nisar Ali Khan, who has been preparing a presentation on the matter since Friday, will brief the meeting. His presentation consists of key points that need to be considered by the government before it reviews ties with the United States. The presentation also includes details pertaining to the sequence of events that took place before and after Friday’s drone attack (compiled using information received from local tribesmen and military officials), the reaction of political parties to the incident, its possible fallout and ramifications across the country, the preparedness of security forces and the options available to the government. Officials told The Express Tribune that the meeting is likely to take important decisions. The government, however, is unlikely to take any drastic steps while reviewing its bilateral ties with the US in the aftermath of the TTP chief’s death, according to a senior government official. “There won’t be any knee-jerk reaction,” he told The Express Tribune on Sunday. On Saturday, the interior minister accused the US of sabotaging the peace talks with TTP. He had also said that the government would review bilateral cooperation with the US. However, the official, who spoke on condition of anonymity because of the sensitivity of the issue, said the government would not resort to any action that might put the country’s relations at odds with the US. “We will register our protest through appropriate channels but the government is not contemplating any radical steps,” he added. Opposition parties, including Pakistan Tehreek-e-Insaf, are demanding tougher action against the US. The PTI has already announced that its government in Khyber-Pakhtunkhwa will not allow Nato supplies to pass through the province. But the official pointed out that blocking the supply routes was not the solution to the problem. Federal Information Minister Pervaiz Rashid also dismissed demands that Pakistan cut off supplies to the Nato forces. However, in an effort to pacify the opposition the government is expected to take certain ‘symbolic’ steps including supporting a resolution in the National Assembly to condemn the US action. However, it will likely stop short of taking any extreme measures such as blocking Nato supplies, the official added. 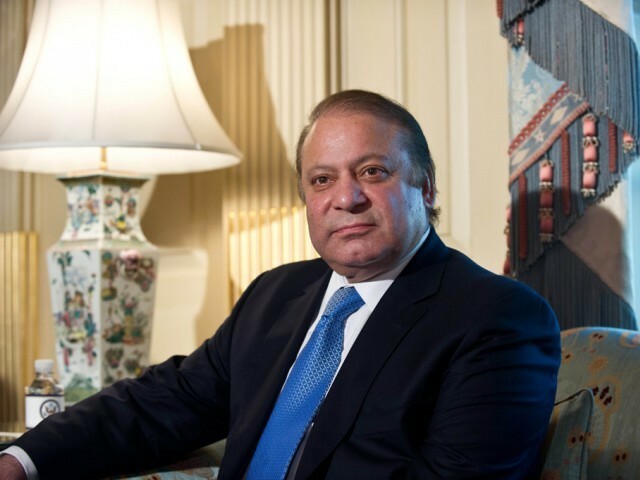 Prime Minister Nawaz returned to Pakistan on Sunday after completing his visit to the United Kingdom. He arrived in Islamabad after a brief stay in Lahore, where he received a report from his aides and government officials regarding the TTP chief’s death. According to sources, the premier will also briefly visit Bahawalpur today (Monday) morning to witness military exercises, where he will be received by army chief Gen Ashfaq Parvez Kayani. They added that the two are also expected to hold a key meeting to discuss the scenario in light of recent events and an auxiliary strategy for talks with the Taliban following the ceremony.